Somewhat Quirky: Kirby Is Here! Hi! I am Kirby and I blog at Kirb Appeal and Karen has been naïve kind enough to invite me to guest post while she is whooping it up somewhere. I am not strictly DIY or crafty or whatever...I'm an acquired taste, so it's nice to guest post at a blog where someone actually knows what they're doing. So thanks, Karen! 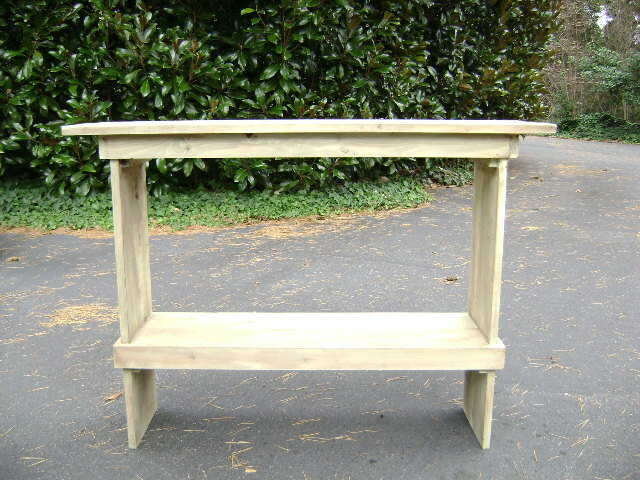 This is his latest creation--a very utilitarian table that can be used for a dozen different things--a potting bench, a sofa table, a narrow table for a hallway, or to hold your flatscreen. The shelf on the bottom is perfect for baskets or bins, and the color is my own special mix of a pale green paint (wiped off wet) and a hand-rubbed gel stain. The effect is exactly what I wanted; very weathered, as if it's been outside for a couple of years, and is just a little bit mossy. The best part? Is that it cost nothing to make! Why? 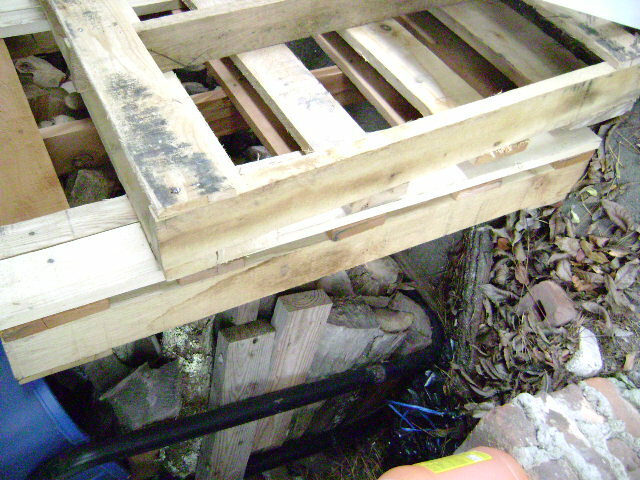 Because DL is the Materials B!t@h.
This great table started out as pallets that DL stole recycled from work. 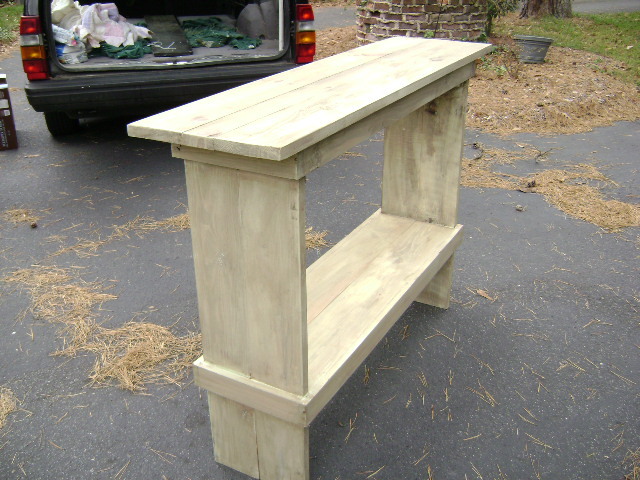 All materials in this bench (with the exception of screws) are leftover from another project. The paint is from the master bedroom, the gel stain from touching up a water-damaged spot in another house, and the tools were...well, we have every tool except a nail gun and DL thinks it would be foolhardy to put me in the same house with one. Anyway--we're really pleased with how this upcycled project came together, and we're confident it'll sell quickly. Thanks again to Karen for letting me crash her pad! Thanks Kirby for standing in strong for me! You guys hop over to Kirb Appeal - you never know what is going to happen there! ...and word has it there's a little interview over there this weekend with someone you might know - ME ME ME ME! Nice project Kirby/DL. I'll be talking more to you about this wet-wipe process. Looking forward to the interview with Karen as well! 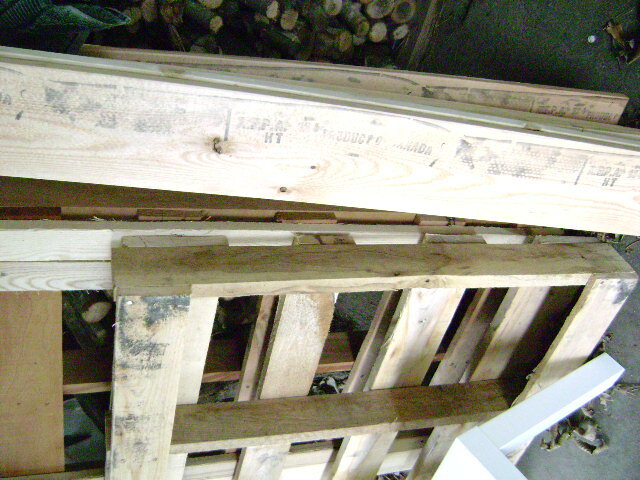 I love a man who knows a good pallet when he sees one. You make a great team! This table design is top notch. You gotta appreciate the good use of pallets! I brought a couple of pallets home from work two years ago, where they sat propped against my fence until a gargantuan limb from my neighbor's tree fell and smashed them to bits. I tried? I want to see Kirby do one of her dance videos with a nail gun in hand. I'm with Bliss, let's see the dancin' machine with the nail gun. Good job, Kirby and DL. I third the motion...Kirby dancing with a nail gun!